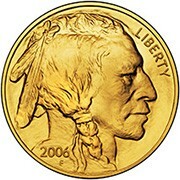 The American Buffalo 24-karat gold coins were a big hit. It seems as if the US Mint is on a roll. 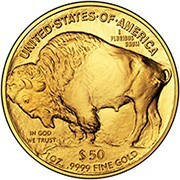 LOS ANGELES - Owner of the “Ultimate Shopping Network,” announced today its best monthly coin sales ever, fueled by high demand for the network’s stock of the U.S. Mint’s 24 Karat American Buffalo Gold coins. Offering some of the industry’s lowest prices on a broad range of coin grades, from the first strike, mint-state (MS) 70 American Buffalos available at $999 to the ultra-rare proof issue, first strike, PCGS-PR70DCAM selling for $4,995, USN has become the retailer of choice for coin collectors and investors across the nation. Based upon James Earle Fraser’s design of the Buffalo Nickel issued between 1913 and 1938, the American Buffalos are the first 24K coins ever produced by the U.S. Mint and have been made in an extremely limited run of 300,000 total coins. The network’s largest seller has been the first strike, MS-70 American Buffalo, which at $999 is being offered at a discount to the $1,099 to $1,199 it is available for from most other outlets. In addition to coins, USN sells a range of other high-end goods including fine diamonds and jewelry and designer accessories from fashion houses such as Prada and Fendi. Reaching new markets in the TV shopping industry, USN has an average price point of $400 versus the industry norm of $75 to $100. USN reaches over 30 million aggregated U.S. households on DIRECTV Channel 345, Dish Network channel 223, and various cable and broadcast outlets. The Ultimate Shopping Network’s 24⁄7 programming offers television’s most luxurious shopping experience and the network is a rapidly growing player in the multi-billion dollar television commerce industry.